For those of us lucky enough to of been born and raised here, Texas is a source of pride. To those who are newcomers to the Lone Star State, it is a thing of beauty and wonder. 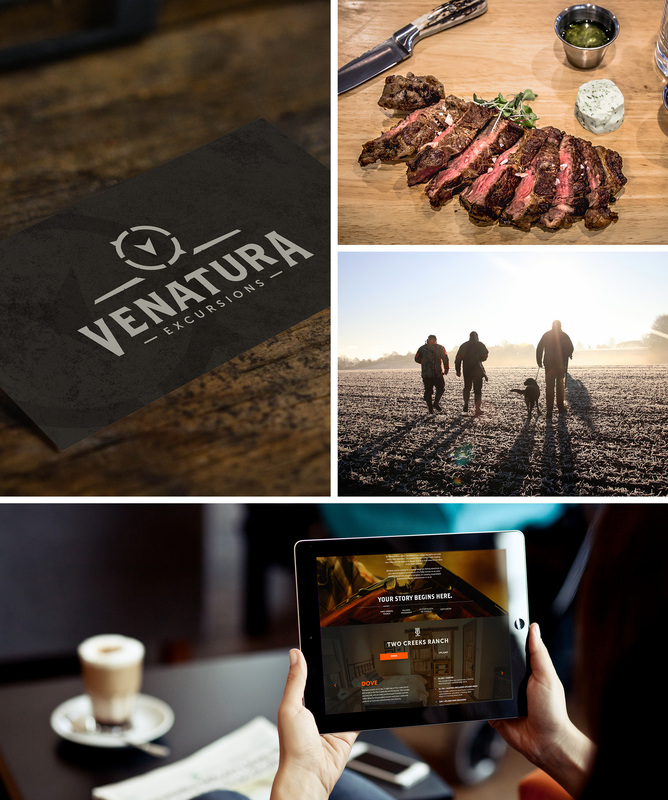 It is this aspect that we wanted incorporated into the branding for Venatura Excursions. Venatura Excursions is a Texas-based company that facilitates a love for the outdoors through a wide variety of experiences. Whether that’s bird or game hunting in the Texas hill country or deep sea fishing at the coast, Venatura offers a little something for the outdoorsman in us all. The challenge was creating a brand that was rugged, yet also incorporated a twinge of elegance without looking like “just another ranch logo.” We wanted it to be unique and inviting for hunters and spirited outdoorsmen of all ages and backgrounds. Our inspiration for the brand comes from three elements, which are all incorporated into the logo. The compass, which represents the outdoors and adventure. The reticle, which embodies aim and hunting and the needle, which represents the “V” of Venatura. The result is a brand that is simple, thoughtful and unique. It is a beautiful representation of what Venatura epitomizes: a love for the outdoors. We’re excited to watch this legacy continue for generations to come.